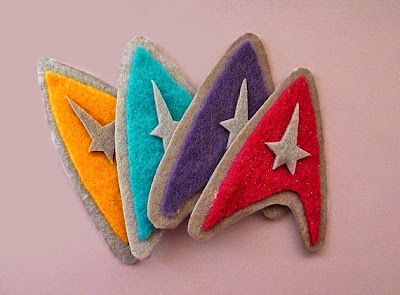 Any Trekkies out there? 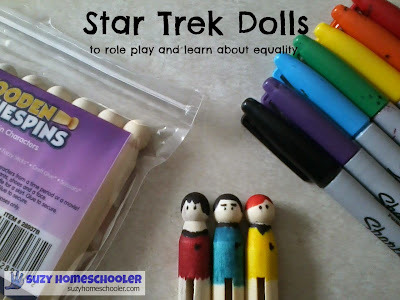 Is it even possible to not love Star Trek? Yeah, didn't think so! 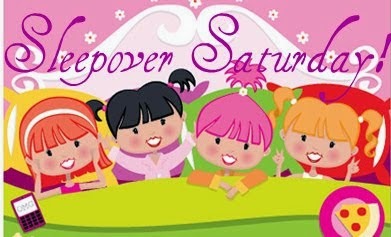 Well, this week's Sleepover Saturday is all about Star Trek, so get your Spock ears ready! There are many so different movies and TV series to choose from when it comes to Star Trek, so the choice of which one(s) to watch is up to you! 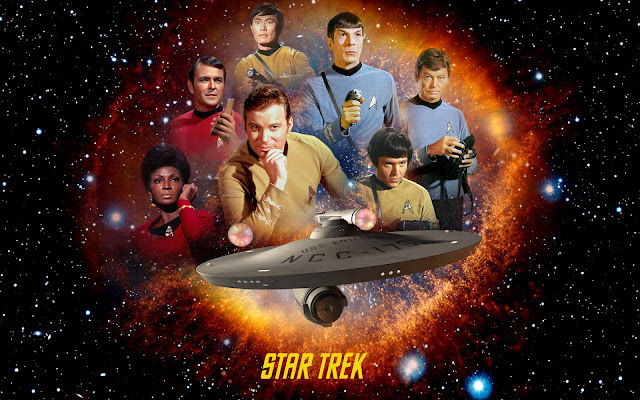 For the movies, I really enjoyed Star Trek: Into Darkness and Star Trek IV: The Voyage Home (Saving Whales!!). 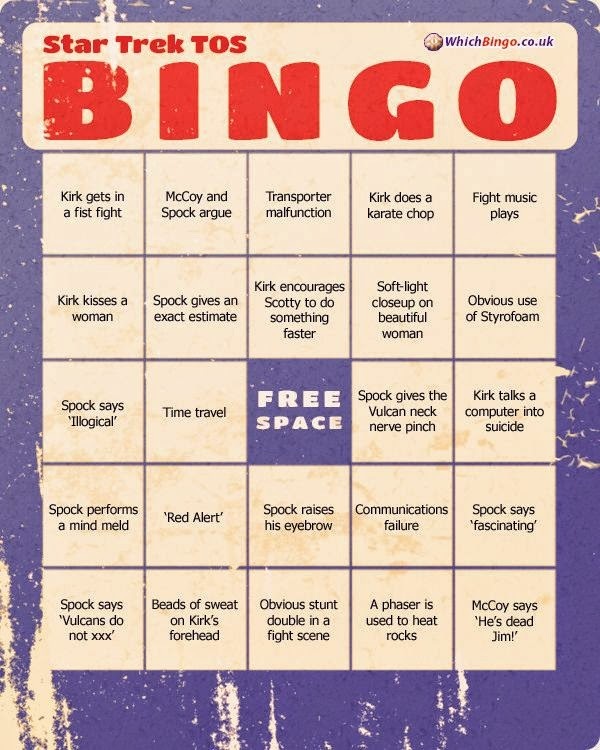 For the TV series, The original and Star Trek Voyager are my favorites! All you really need is some blue soda (any brand works!) 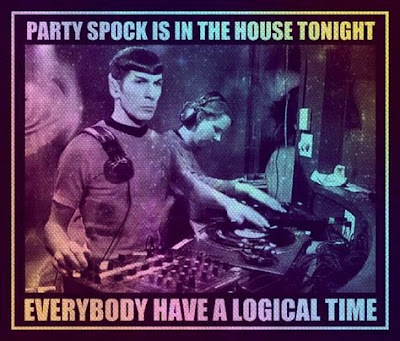 and you've got yourself some Romulan Ale! 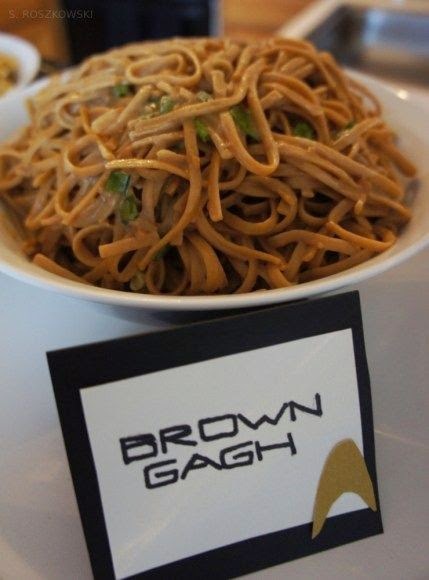 Gagh, a Klingon Delicacy, perfect entree for a Star Trek themed Sleepover! All you need are some variant of brown noodles! I use to make cloth pin dolls all the time when I was little. They are so easy and super fun to make! All you need are cloth pins and some markers and you are set! Make your own Star Trek Delta Shield pin with just some felt, hot glue and a safety pin! 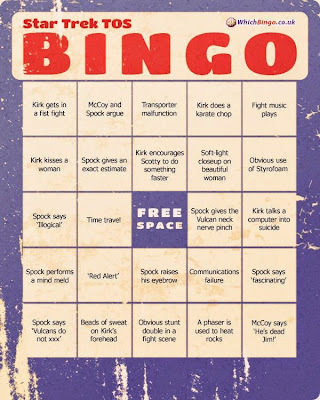 As you watch Star Trek, play some bingo as different things happen! Very Fun! Well, I hope my fellow Trekkies enjoyed this week's SS, and as always Live Long and Prosper!